OC Wine Tours elegantly blends the urban and private winery landscapes, giving you the best of both worlds. Get a first-hand look of the winemaking process and tour a beautiful private winery estate. 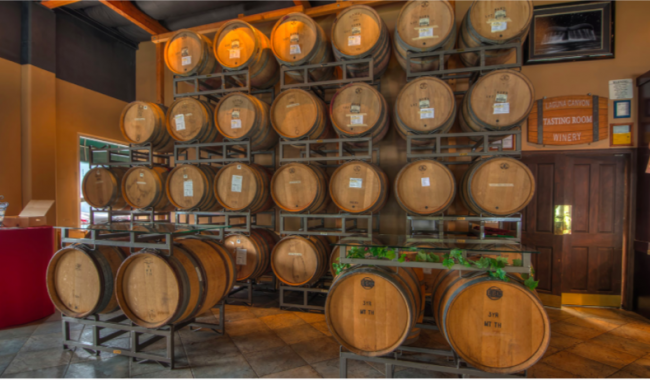 Your first stop at Newport Beach Vineyards & Winery will lead you on a walk through the vineyards and into a large, barrel-lined wine cellar, where you will enjoy your first tasting. Your last tasting will take you on a guided tour of the property, where you will get to take in the beauty of the estate. After a short drive down the coast, you will arrive at an urban winery in Laguna Canyon, where they create handcrafted wines year-round. The owners nest grapes from up and down California, before fermenting, blending, and barrel-aging their wines onsite.